Seattle’s 1,700 on-street parking pay stations soon will be converted to a pay-by-plate format. Instead of sticking a parking receipt to your car window, you will enter your car’s license-plate information into the new pay station, select the desired amount of time and pay. Danielle Moser had extra time left after she paid for two hours of parking while getting her hair cut. Her salon appointment took less than the time she allotted, so she decided to go shopping at a store about 12 blocks away. Moser wondered whether her payment would start over if she relocated her car. Not wanting to get ticketed, Moser wrote to Traffic Lab. 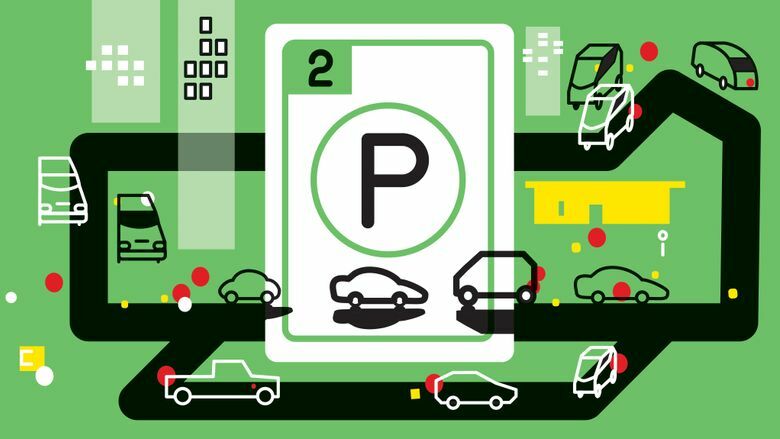 “Can I pay 2 hours to park in one location, and move my car to another location within the prepaid 2 hours without having to pay again at that new location?” asked Moser, who lives in West Seattle. That’s allowed, but it won’t be for much longer. In the system used now, if a driver pays for short-term parking and gets a receipt from a nearby parking station, then “yes, they can use any remaining time in another area” if it’s also a short-term parking spot, said Mike Estey, manager of parking programs for the Seattle Department of Transportation (SDOT). Passes for longer-term paid parking, such as 10-hour spots, are not allowed to be used in short-term paid areas. SDOT refers to this ability to park in another area with remaining time as portability. However, portability will only be permitted for a few more months. Between August and December, SDOT will convert all of the 1,700 on-street parking pay stations to a pay-by-plate format. In the new system, instead of sticking a parking receipt to your car window, you will enter your car’s license-plate information into the new pay station with alphanumeric keypads, select the desired amount of time and pay. It eliminates the sticky residue left behind and no longer requires you to walk back to your car. You also will be able to create an account online with your payment and car information. When you’re ready to park, you’ll swipe your card, select the car you drove that day and choose an amount of time to park. A personal portal will access your parking history and previous receipts. With the pay-by-plate system, Estey said, unused time is not portable to other locations. If the person parking is paying through a personal device with the PayByPhone app, which he said accounts for almost 30 percent of all on-street paid-parking transactions, unused time is also not portable to a new location. Why isn’t the new system allowing for portability? To streamline the process for parking-enforcement officers, so they only pull up information for vehicles that have paid on the specific block they are checking, “rather than all active paid-parking transactions throughout the city,” Estey said. It presents the information to the officer “in a way that is easily readable” and prevents them from “scrolling through hundreds of vehicles every time they start enforcing a new block,” he said. SDOT has no way of knowing how frequently people use their remaining time in one location to park in another, Estey said. This method mirrors the system that already exists when paying for parking by phone to create a consolidated license-plate-based system. “We are hopeful that, from a customer perspective, the loss of that portability will be outweighed by not having to worry about those sticky parking receipts,” Estey said. • “How far do I have to move in order to be safe from a ticket?” You can’t just move one space over or return to the same spot, according to Seattle Municipal Code. After staying parked in a new spot off the block for a while, though, you should be OK to return to the original space, according to Seattle police spokesman Patrick Michaud. • “Do cars blocking bike lanes in Seattle ever get ticketed?” Yes they do, court records show. And Seattle police urge cyclists to report drivers illegally parked or loitering in bike lanes. • “What’s the rule on angled parking in Seattle?” You can get a ticket if you park with the front of a car facing the curb when a nearby sign says “Back-In Angle Parking Only.” Same for a head-in parking sign. Do you have a question about transportation for Traffic Lab? We’d like to try to answer it. Send your questions to trafficlab@seattletimes.com or tweet at us @STtrafficlab, and we may feature them in an upcoming column.